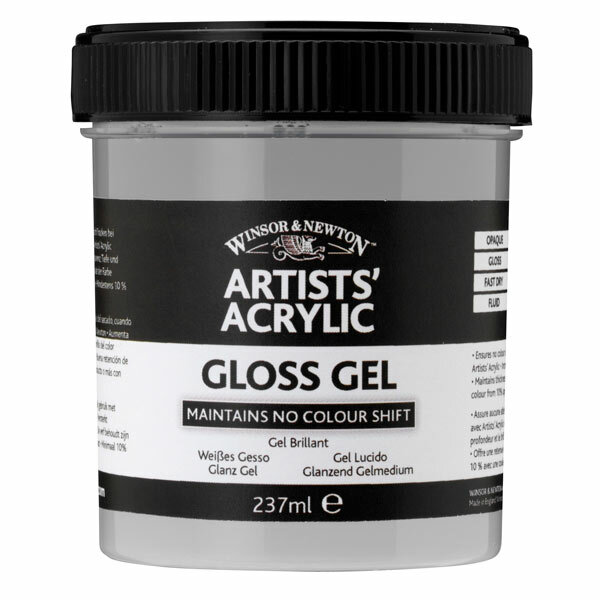 This medium increases the transparency, depth and gloss of the colour. 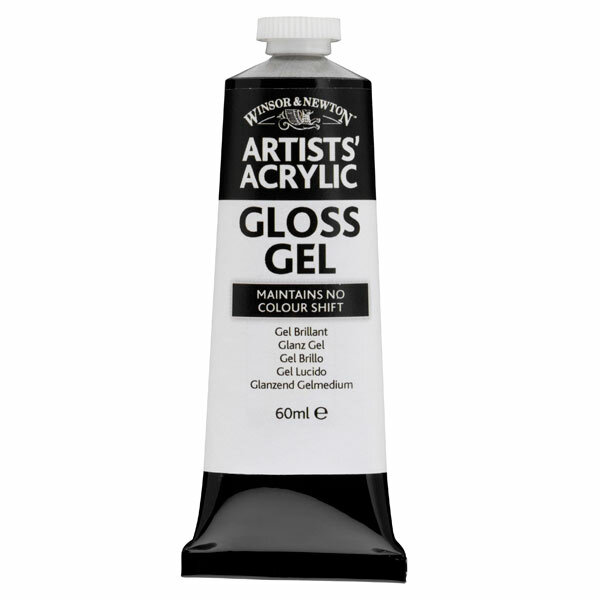 Its gel consistency is thicker than the Gloss Medium, matching the luxuriously thick and buttery consistency of the colour. 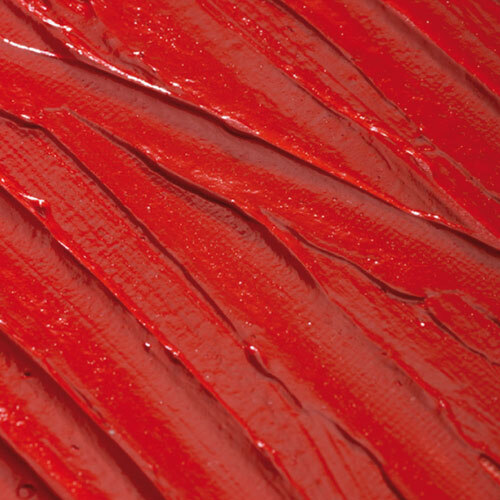 Hence when mixed with colour the thickness of the colour is maintained, so the paint retains brush strokes and palette knife marks for excellent impasto effects. This means you can change the paint without compromising the feel. It dries to an even gloss finish. 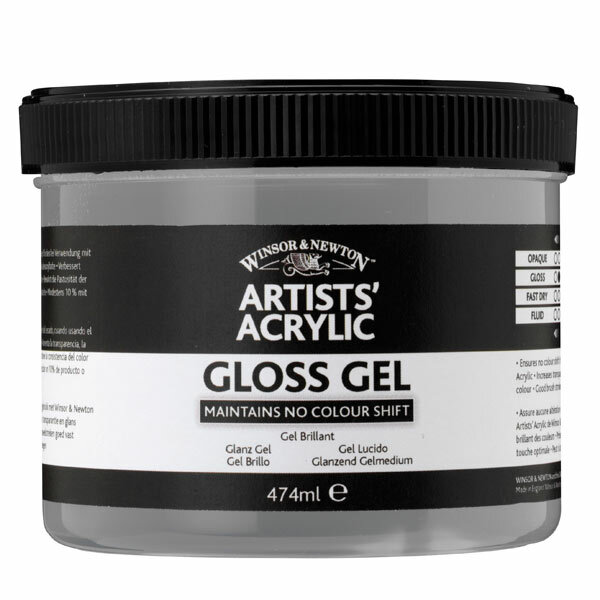 This medium dries completely clear and maintains no colour shift from wet to dry when used with Winsor & Newton Artists' Acrylic.